A long weekend in the Columbia Gorge area of Oregon resulted in great finds in wine and wool. We toured several vineyards in The Dalles, some of which had been pruned and some that were scheduled for pruning soon. Most of the vineyards are set in gorgeous areas surrounded my mountains (although Mount Hood was shrouded in clouds) and by acres and acres of cherry, pear, and apple trees. I would love to go back when the fruit trees are blossoming. We also had a chance to taste some great Columbia Gorge wines, particularly wines from The Pines 1852 and Viento. 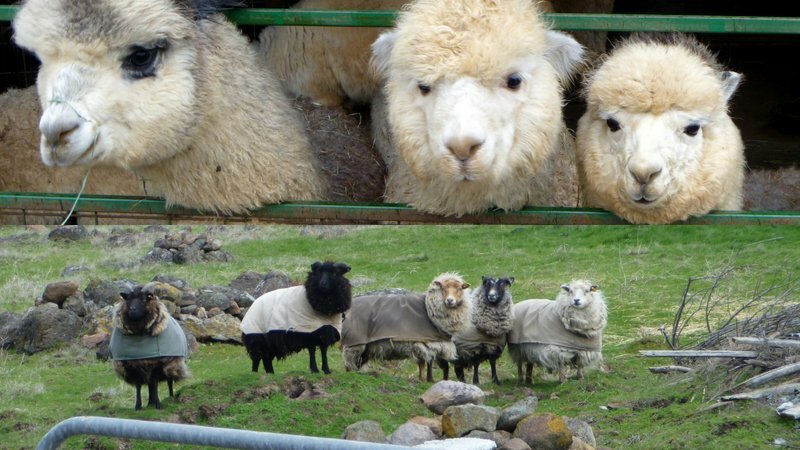 Now to the wool side of the trip. We met several fiber critters: alpacas at Foothills Yarn & Fiber in Hood River and Sporfarm in The Dalles. Foothills is new to me and I am excited to try the yarn. 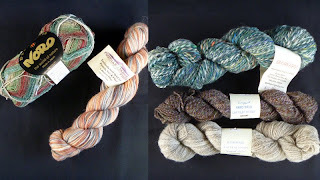 I have purchased yarn from Sporfarm for many years and have enjoyed every stitch. We also visited Knot Another Hat in Hood River. We also enjoyed the scenery along the Gorge, which is ― well, gorgeous ― such as this view from our hotel near sunset on a cloudy day. The next day the mountains had a dusting of snow. Guess I need to stop talking and start knitting! Wow this looks like a great trip!